Applications are now being accepted for artisans interested in participating in the 2018 Oktoberfest, September 21-23. All artisan applications are done online, via ZAPPlication. The deadline for applications is April 20, 2017. If you have questions about the application process, please contact Artisans Committee Chairs Adam and Jessica Blimbaum, at [email protected]. Celebrating its 47th year in 2018, Oktoberfest is the museum’s largest fundraising event. 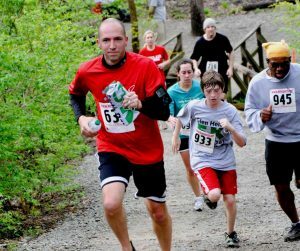 Organized by the museum’s Associate Board, it brings nearly 30,000 people to the museum grounds. 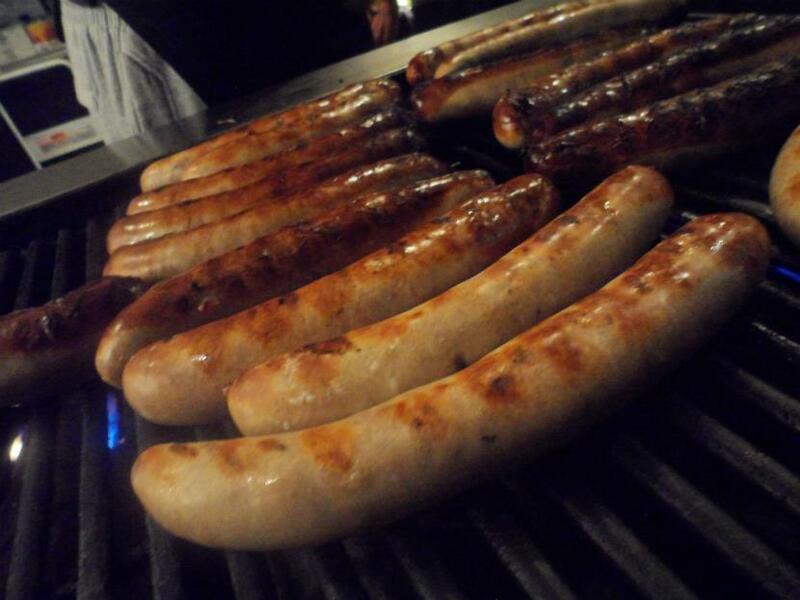 Featuring brats, metts, schnitzel sandwiches, German salads, homemade noodles, and live entertainment. 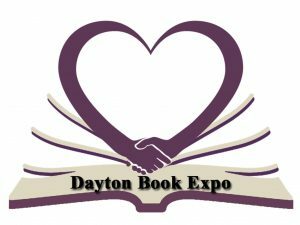 There’s no charge to enter the grounds for this special event, hosted by The Dayton Art Institute’s Former Associate Board members. You may also buy your event tickets, as well as mugs & tees while you are here. 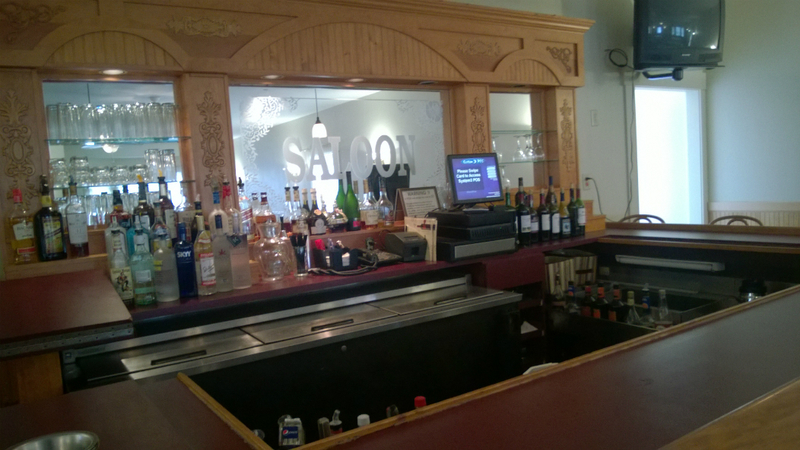 Yes, beer and wine are available! 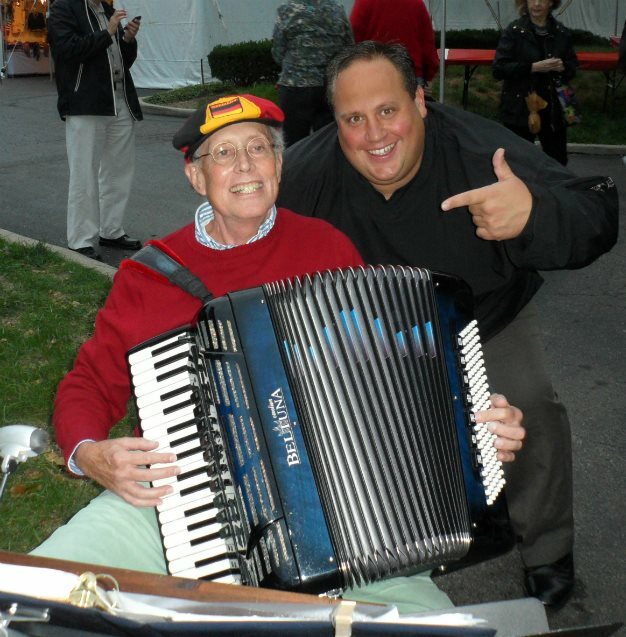 There will be live music by the Good Times Accordion Band from 11:30 am to 1:00 pm. 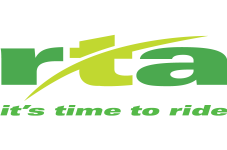 RTA will provide free shuttles from downtown Dayton to the Lederhosen Lunch. Shuttles run from 10:30 a.m. – 2:30 p.m. Look for shuttle stop locations along Monument Avenue, Wilkinson Street, Second Street, Main Street and Fifth Street. 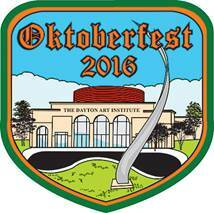 The Dayton Art Institute is now accepting applications from artisans interested in booth space at the museum’s annual Oktoberfest celebration, taking place September 22-24, 2017. The three-day community festival, held on the museum grounds, draws 25,000-30,000 people each year, and it features two large tents devoted to artisans selling their works. 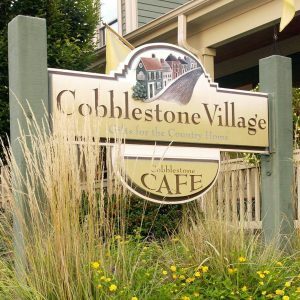 More than 50 artisans from around the country display pieces available for purchase, including: paintings, prints, sculpture, ceramics, photography, jewelry, pottery, metal works, wood works, fashion and accessories, and leather goods. A Best of Show Award and up to three Invitational Awards are presented during the festival. Artisans are selected through a jury process, and all applications must be submitted online, via www.zapplication.org. 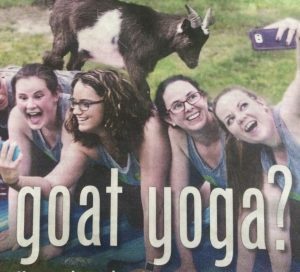 The deadline for artisans to apply is April 21, 2017. 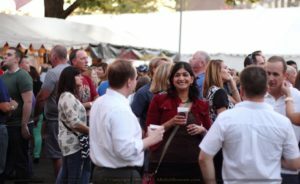 Celebrating its 46th year in 2017, Oktoberfest is The Dayton Art Institute’s largest fundraising event. 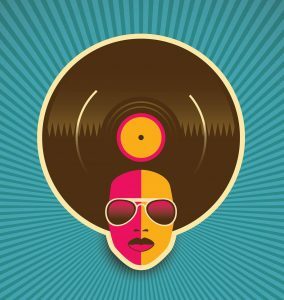 Organized by the museum’s Associate Board, it kicks-off with the popular Preview Party on Friday, September 22, 7–11 p.m. 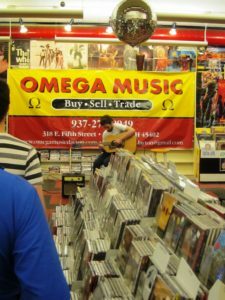 The festival continues on Saturday, September 23, noon – 11:30 p.m. and Sunday, September 24, noon – 7 p.m. Visitors come to view the offerings of the artisan vendors, enjoy the culinary delights of numerous food vendors, sample a variety of domestic, international and craft beers, enjoy continuous live entertainment and participate in family activities. For more information about Oktoberfest and the artisan application process, as well as a direct link to the online application, visit www.daytonartinstitute.org/oktoberfest. Roasted Pears & Sweet Potatoes, Arugula, Balsamic-Port Vinaigrette; Artisanal Pizza of Your Choice. Butternut Squash & Apple Soup; Applewood Smoked Bacon, Maple Cream, Spiced Pecans. 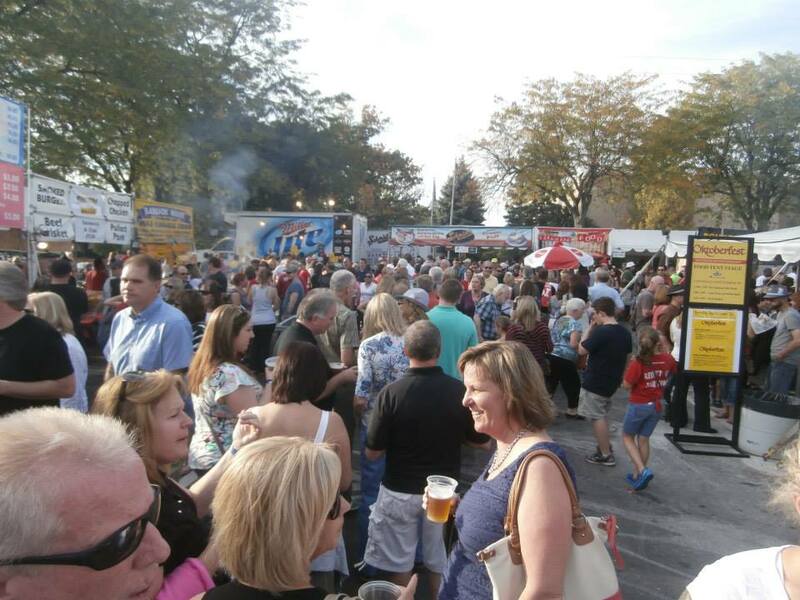 This weekend mark’s one of Dayton’s biggest festivals and Food Adventures of the year, …Oktoberfest! 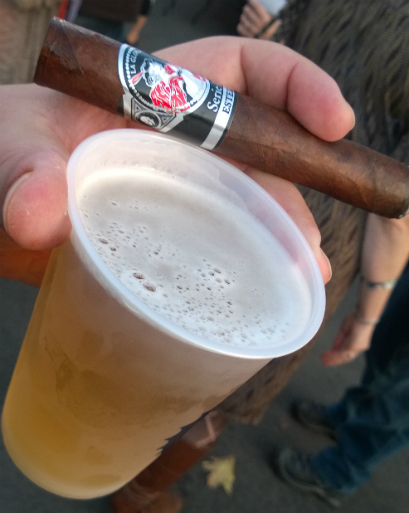 Held at the Dayton Art Institute, it is a plethora of Beer, Crafts, Cigars and Food. 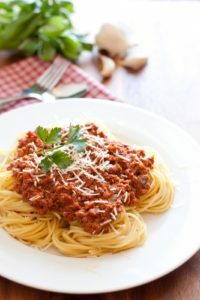 Some blogs will give you tips on parking, but The Big Ragu, Hungry Jax and Chef House have been eating and drinking their way through this festival for about 40 years. 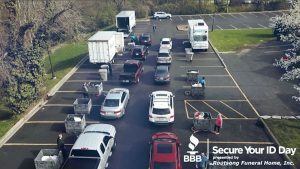 So who better than the Food Adventure Crew to sort through the food with their hundreds of thousands of calories in expertise? Grab your lederhosen and let’s dive in…. Now you know where to be and when. 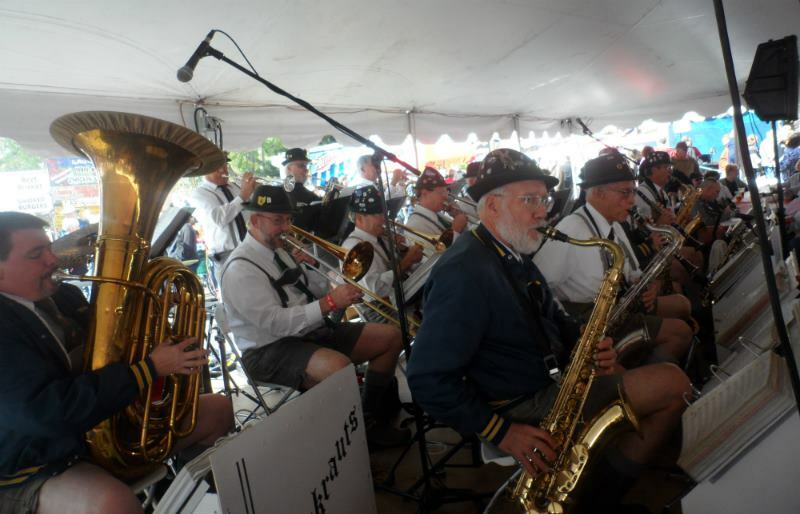 So bring some money and get your eat on… Dayton’s Oktoberfest, where everyone is German for the day ! 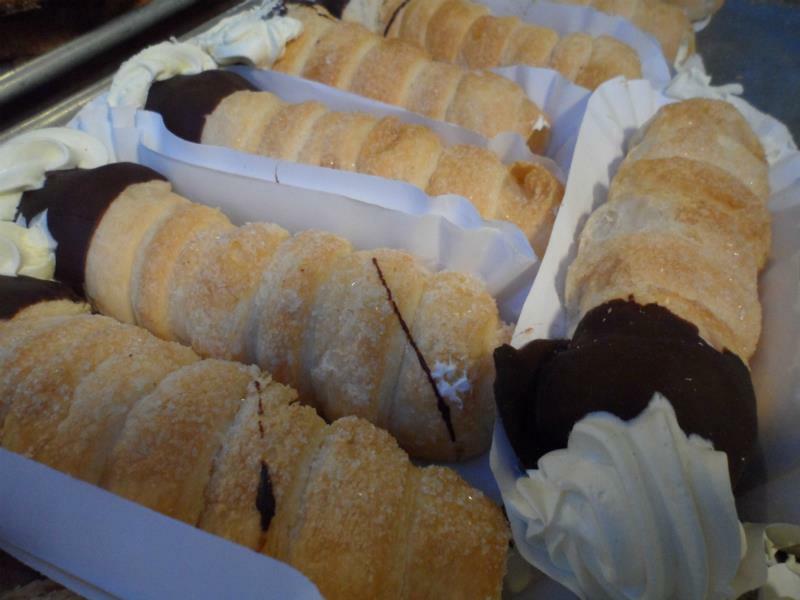 Of course the #1 item is one so creamy and rich, you will pass out from pleasure. The line might be long, but the end result is worth it. 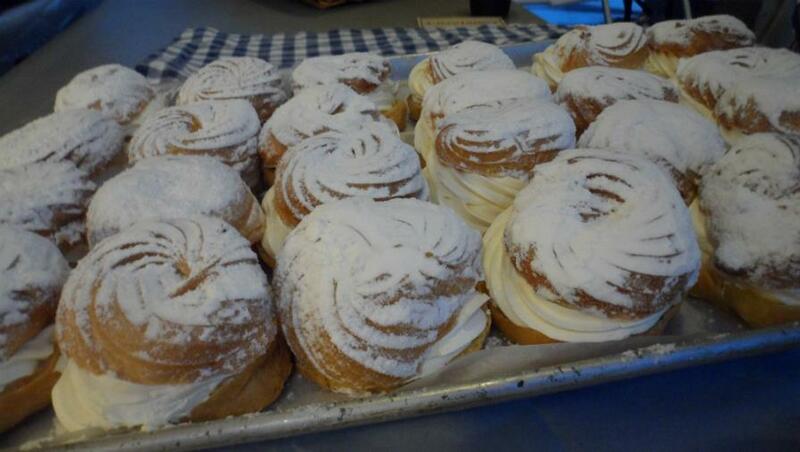 Grab one of these huge cream puffs from Schmidt’s Booth, all the way from Columbus. 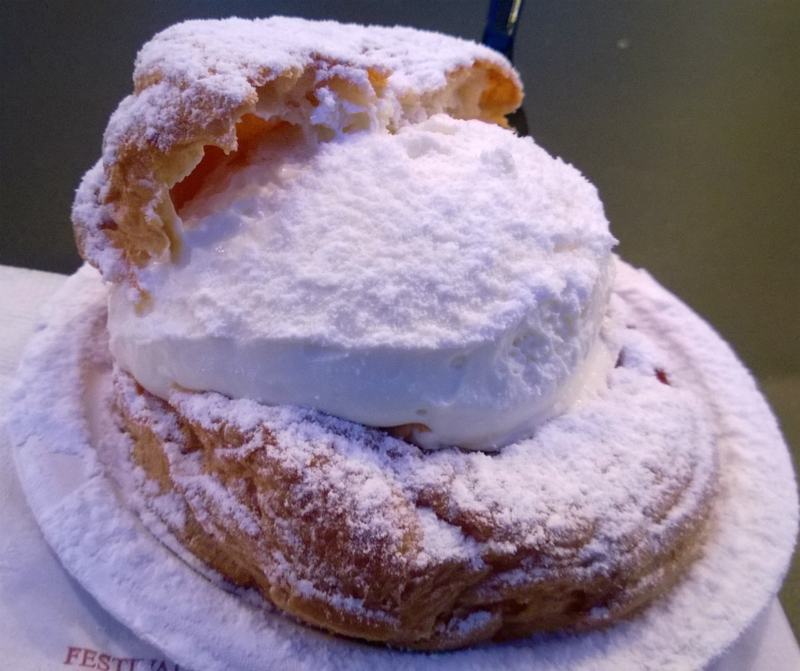 The cream puff is as big as half your head, and more delicious than 100 movie stars. 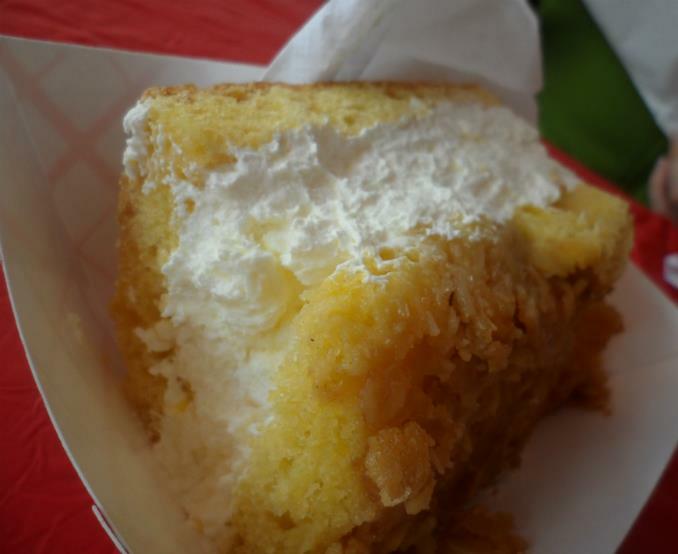 Another OMG moment at the festival, is when you introduce your friends to this little number. 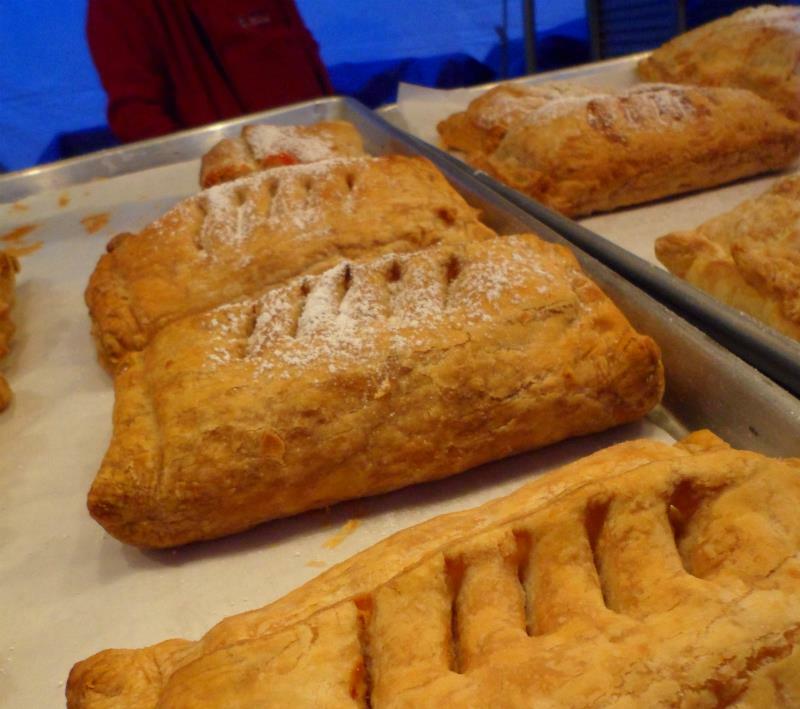 Hungry Jax and The Big Ragu agree that the Apple Strudel and Pumpkin Strudel steal the show. 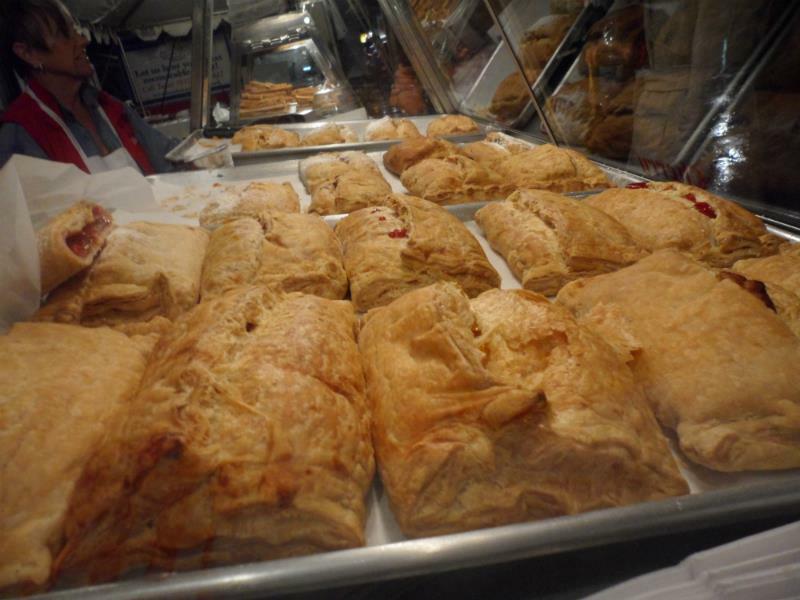 The food lines are not bad at this booth , and the strudel is fresh out of the oven. 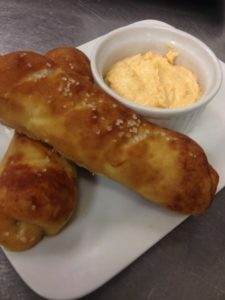 We are not sure if these are a German Club item or Dayton Art Institute.. we just know with a little sauerkraut, or Dusseldorf mustard, these babies go great with beer. 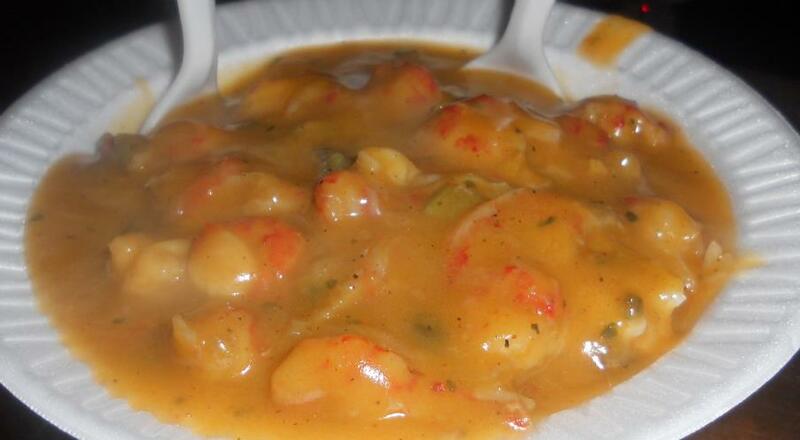 Chef House’s pick of the fest. She could hang out in this booth all night, and with the beer trucks of course! Giant, delicious and cheap. Unfortunately everyone knows about these, so the line is a little long sometimes. Don’t fret, good things come to those who wait, and it’s not like the line to the Beast at Kings Island. But these big potato cakes are beasts in themselves. 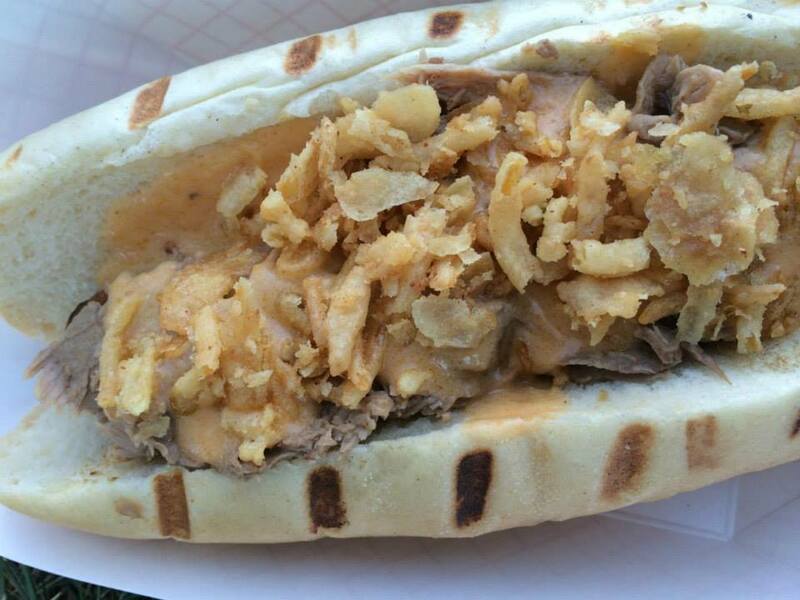 Dayton’s #1 food truck rolls in with this hot dog smothered in braised beef brisket, beer cheese and topped with fried onions. Another original item, where they knock it out of the park. 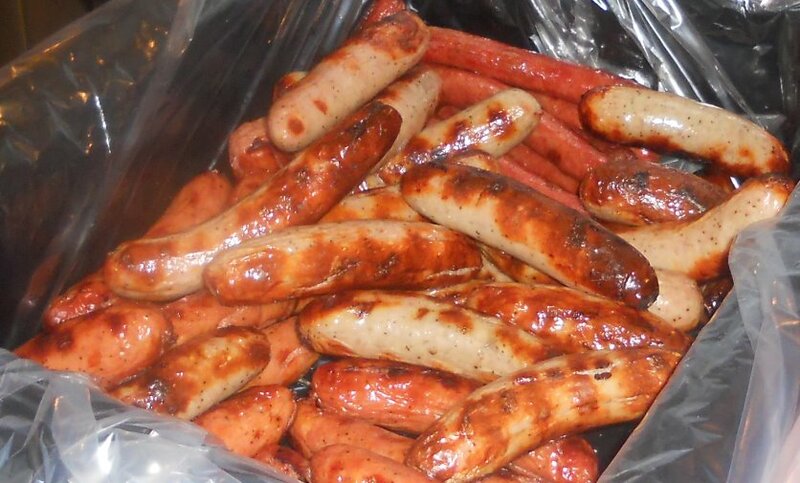 Fight the line, and get the rewards of this one of a kind, big wiener. What’s on your zombie? 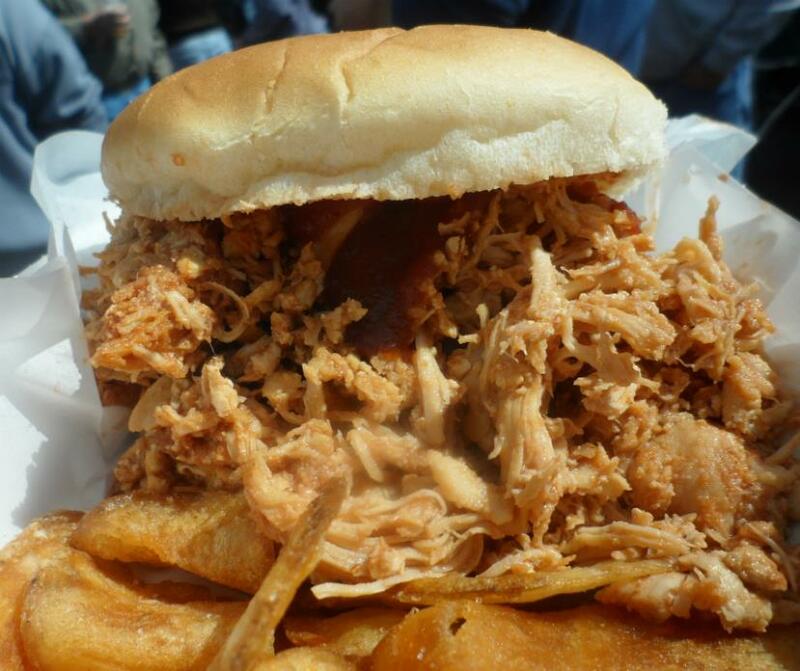 Pulled Chicken Sandwich from Smokin Bar-B-Que – Add some of their excellent BBQ Sauce ! This Oregon District mainstay, comes in with an entry like a lightning bolt. The pulled chicken is perfectly cooked, but the secret is in the sauce. All foodies know that a condiment table can be where the magic happens and puts the ying to the yang. In this case it is true. 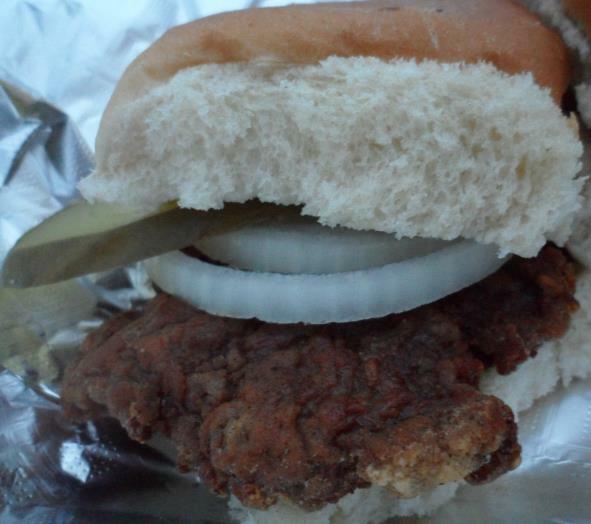 Find the extra BBQ sauce bottle and squirt some more on your sandwich. 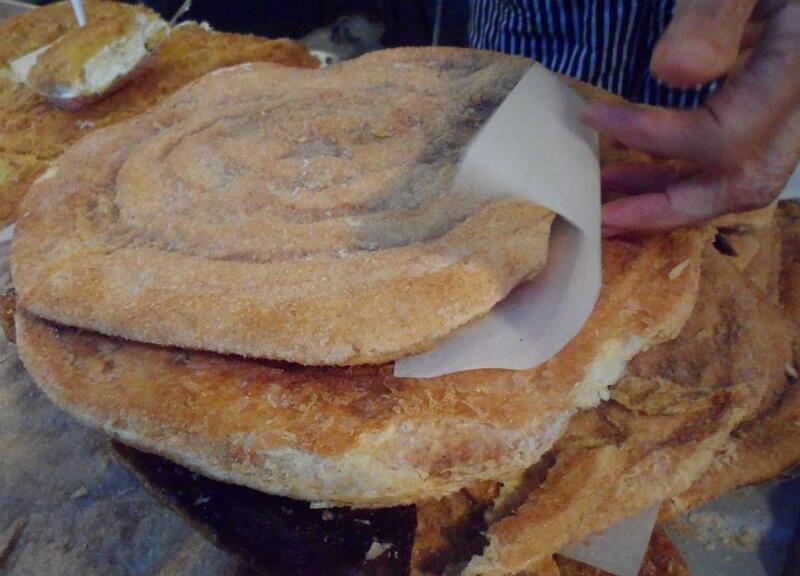 Close the bun, take a bite. If some sauce drips on your finger, just get a canvas and hang an inspired finger painting in the art museum. 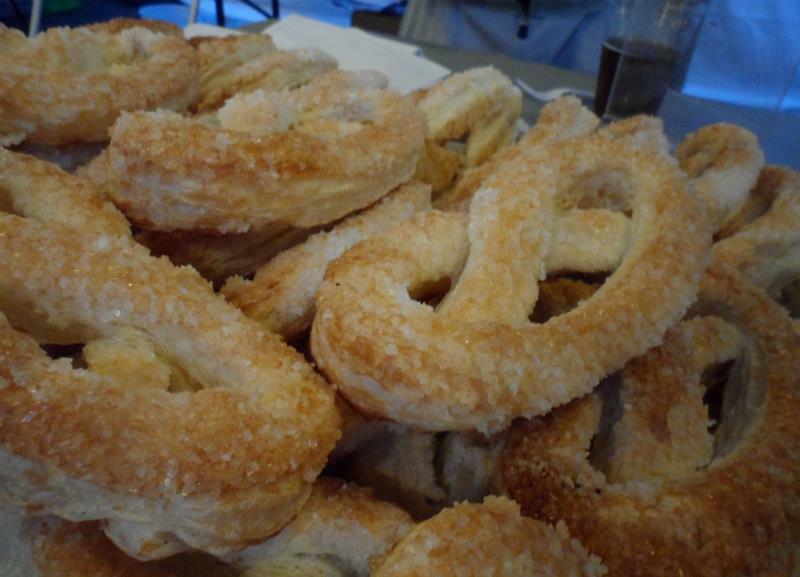 Happiness is a warm pretzel. We are talking so fresh you can hardly hold it. 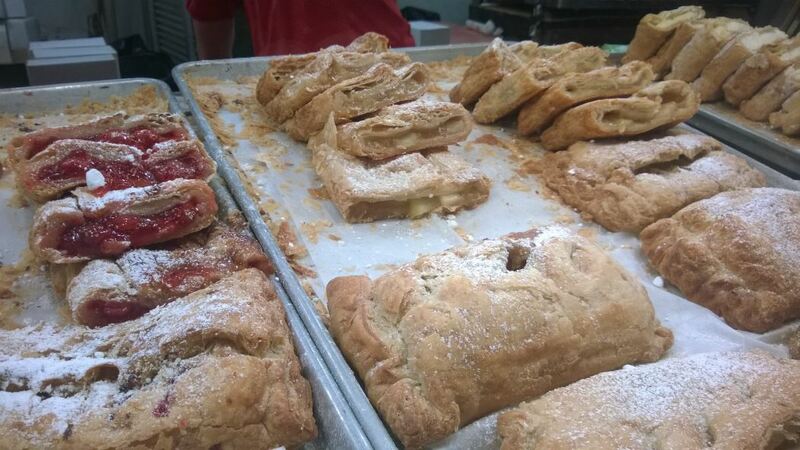 We mean it, right out of the oven into a napkin, to warming your heart. 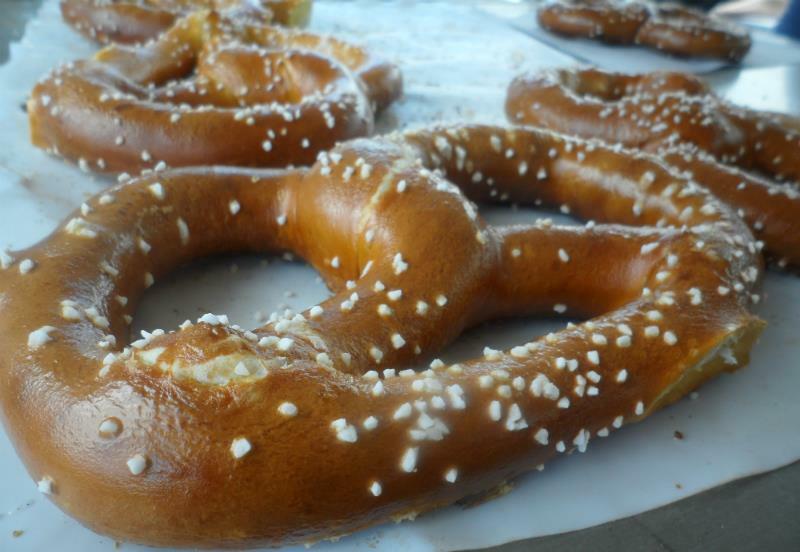 Soft inside, with the perfect outer crust, this pretzel is meant for some mustard and beer. 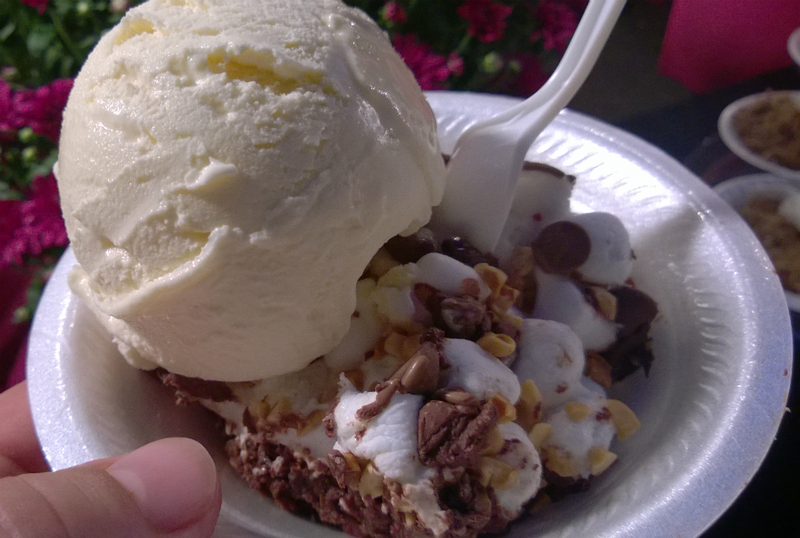 Warning: you might crave a second one later in the night. — #8 THE CRAB CAKES from BROCK MASTERSONS: Seared on a flat grill, these gargantuan crab cakes are the best in town. So good, that you will want two. Also a thumbs up for the sauce served with the cakes. It is the perfect touch and very tasty. The crab cakes are full of flavor and worth the treat. 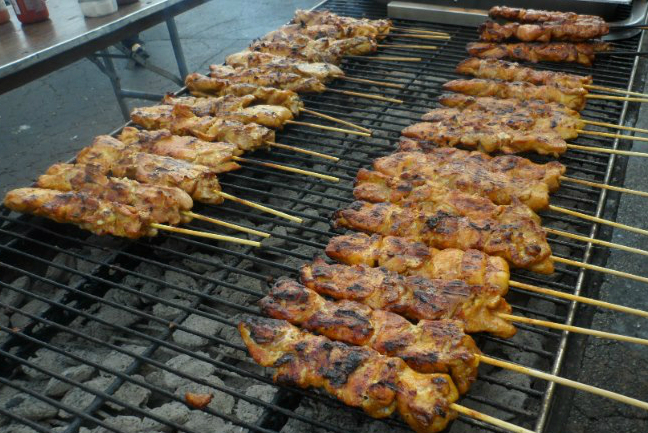 Chicken on a Stick from Bangkok House – Shockingly good ! 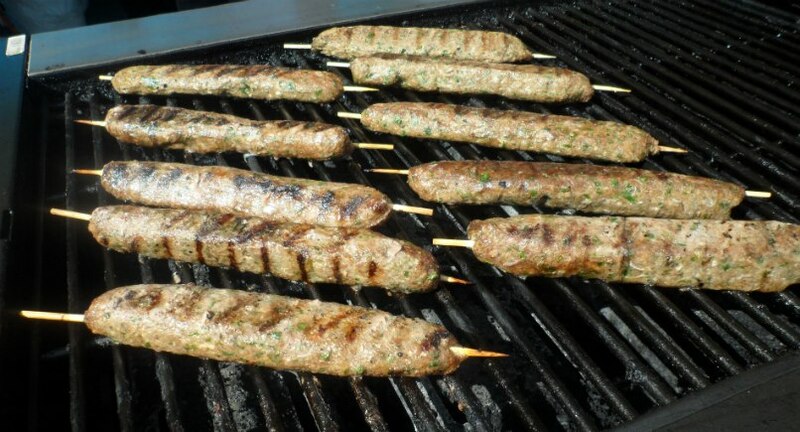 The strange looking skewer, the incredible smell off the grill. 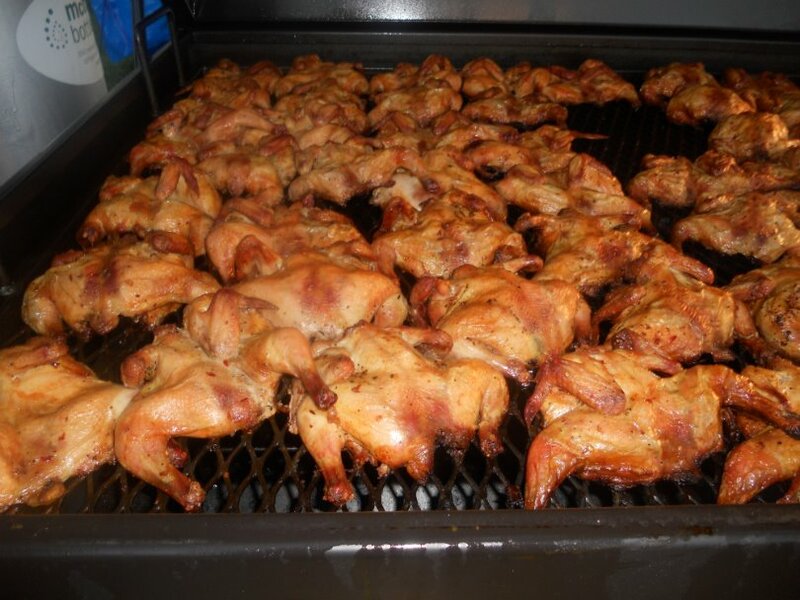 This busy booth sells all kinds of specialties, but the one to grab is the Chicken on a Stick. 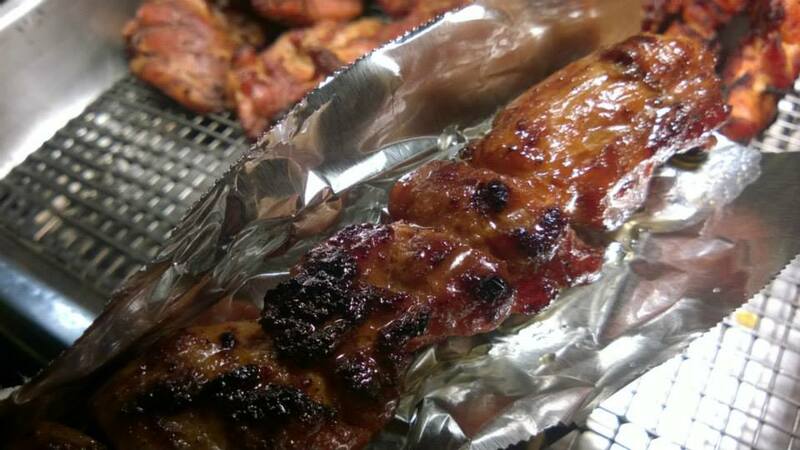 The marinated chicken comes out perfectly grilled and the result is a cross between somewhere between tender chicken, and other bites having a slight jerky feel to it. 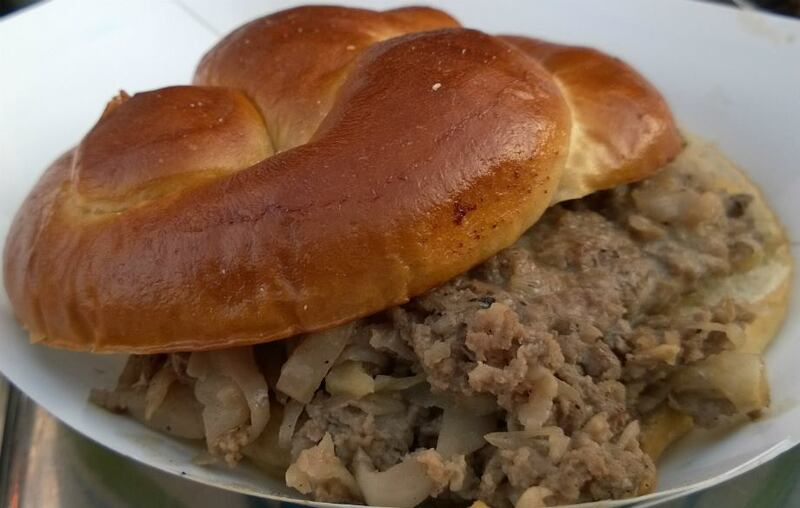 A “must eat at Oktoberfest ! 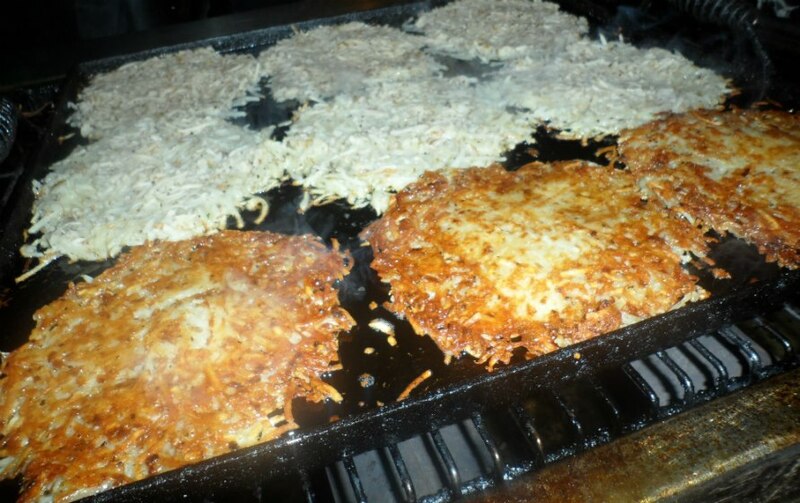 The Huge German Potato Pancakes from “Hey Hey” food booth ! Quinoa, spinach, avocados, cranberries and turkey A surprise Food Adventure on a bun that we weren’t expecting. Chris Bhai has done it again with his “out of the box” thinking. ion a burger? YES! But the best thing is the taste! 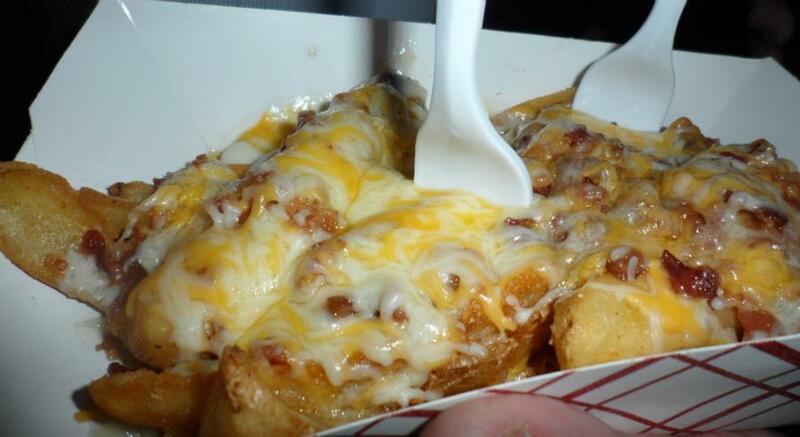 Most Daytonians are familiar with these rich sinful cheese fries. These hunger busting pub fries, topped with cheese and bacon, deserve a spot on the list. 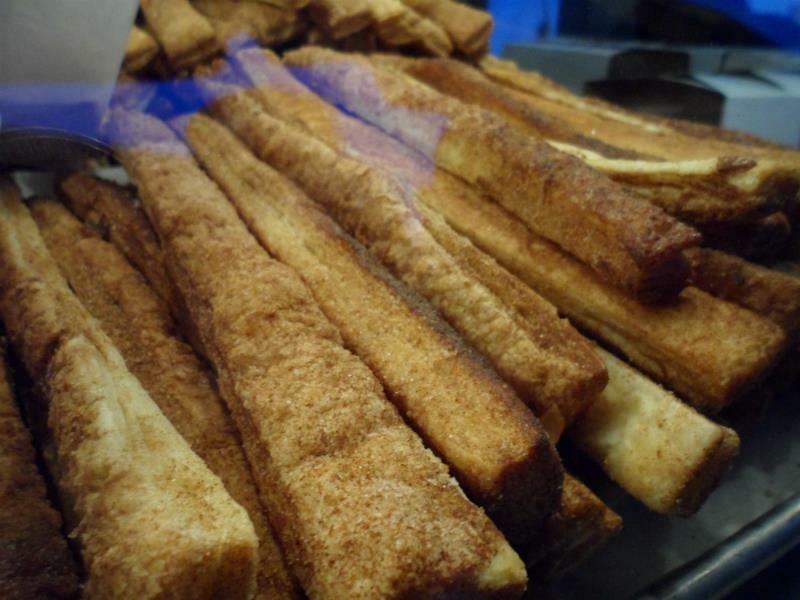 Everytime we order these we find people reaching into our basket and snagging a bite. 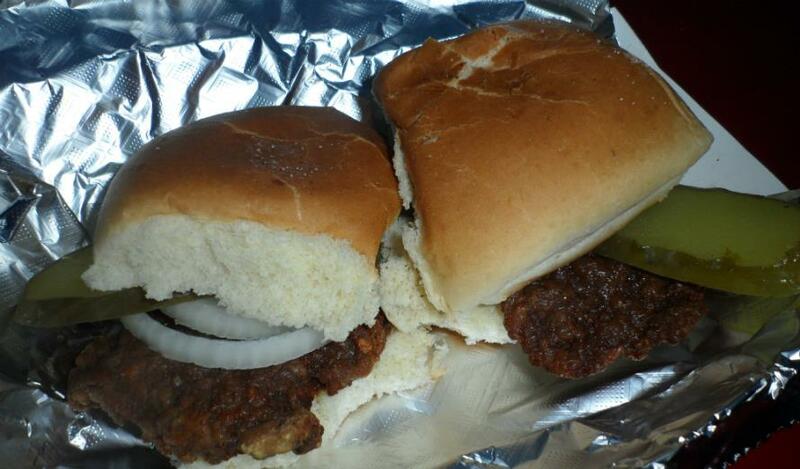 Grab a batch of these hometown favorites. 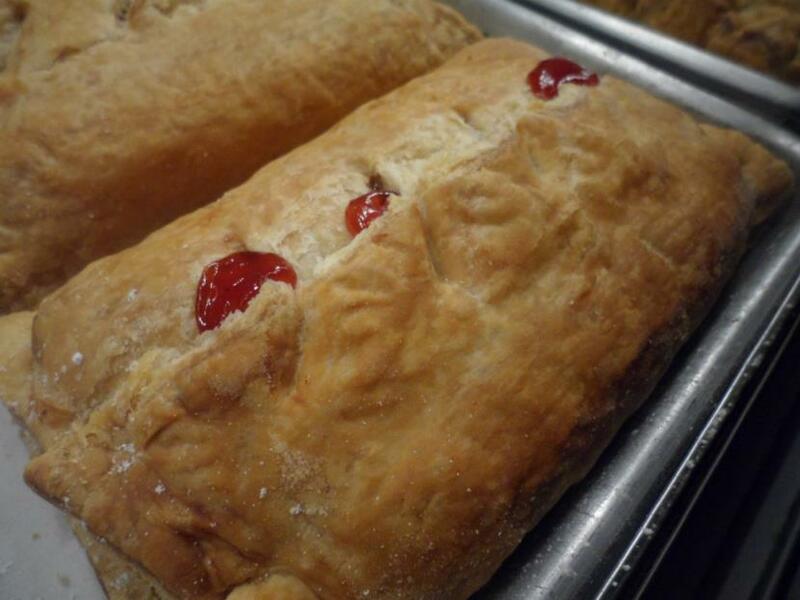 The are Chef House’s guilty little pleasure! 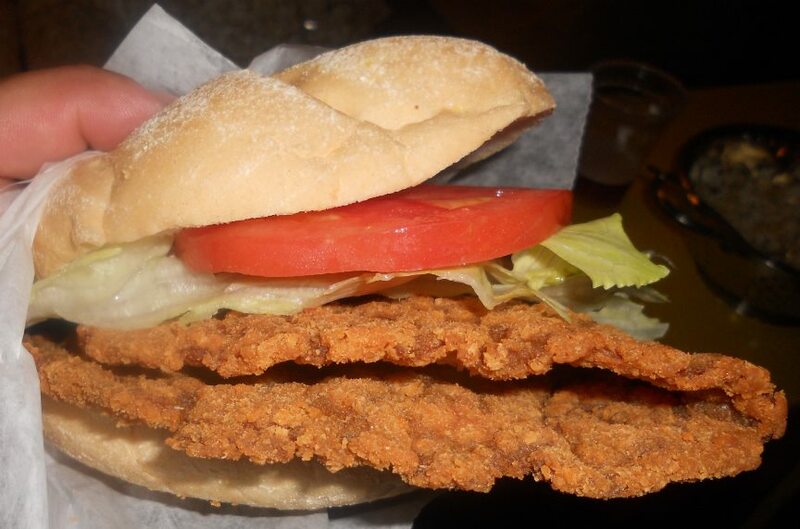 Pretty much a fried pork tenderloin looking sandwich. It is a good sized sandwich that is easily shared. 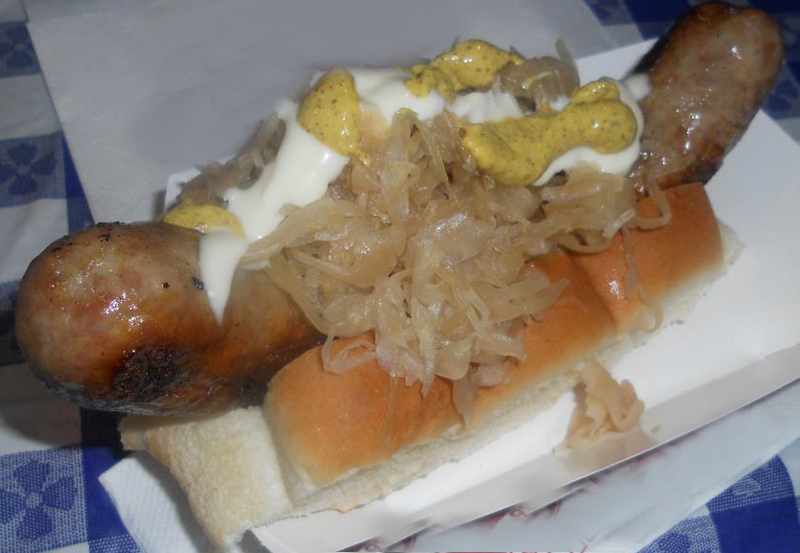 There is also schnitzel under the Brats and Metts tent in the German Food line. I’m sure a cabbage roll or potatoes would go good with this. 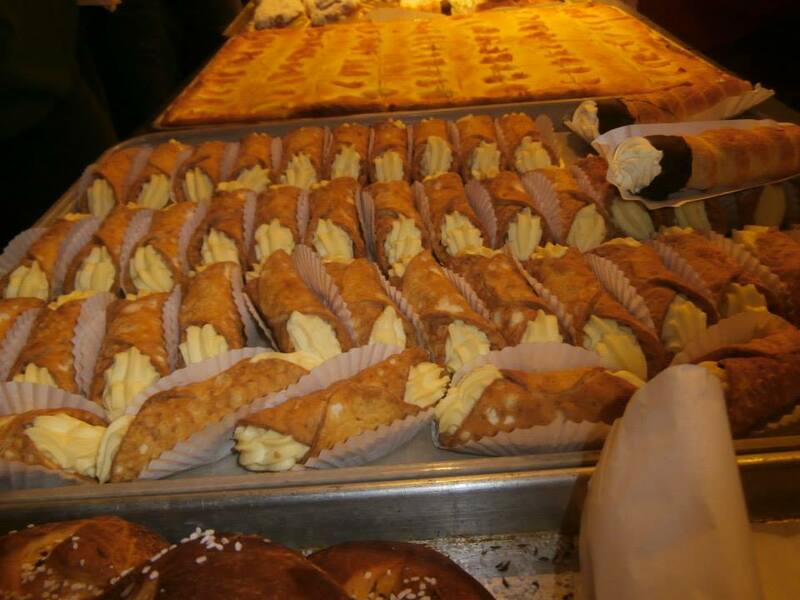 So you thought Greek Fest was your last chance in 2015 to get these? Think again! 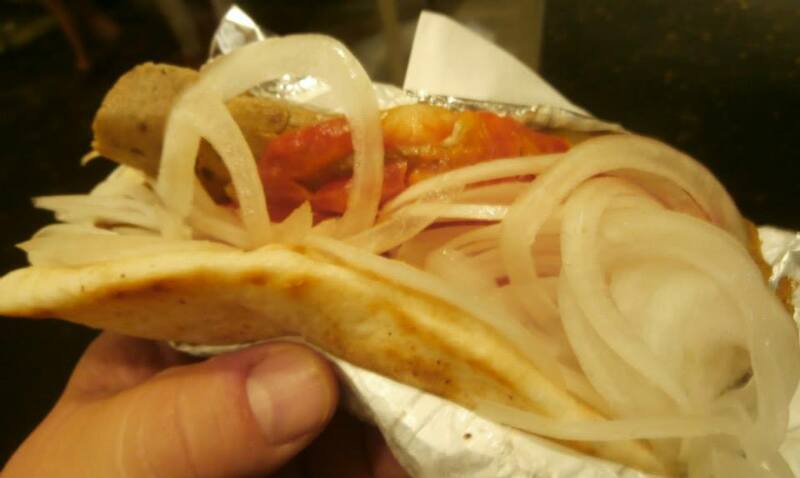 Take advantage of this rare chance to get the same gyros served at Greek Fest. 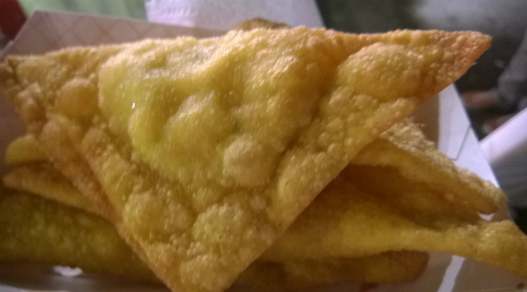 The only other time you can find these is at World a ‘Fair, We recommend the traditional gyro with everything on it. 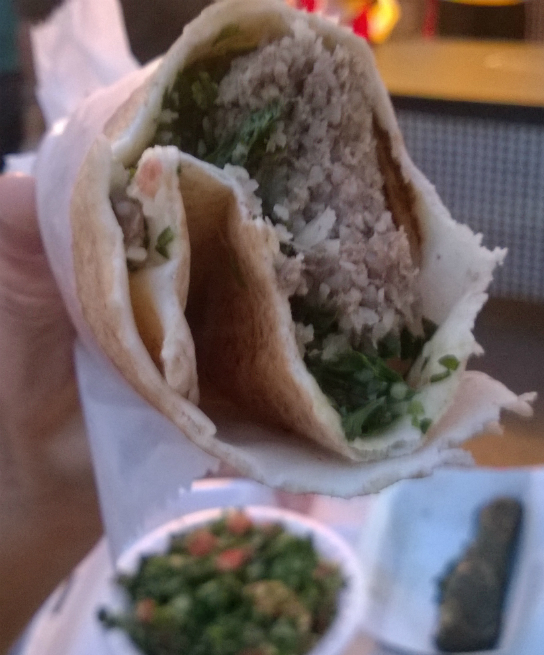 We feel it is much more flavorful than the chicken gyro. 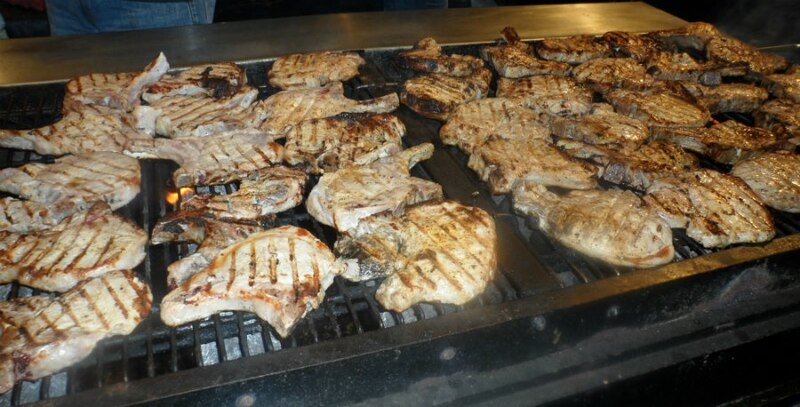 A giant pork chop, plus a huge grill means the most eye appealing site at the festival. 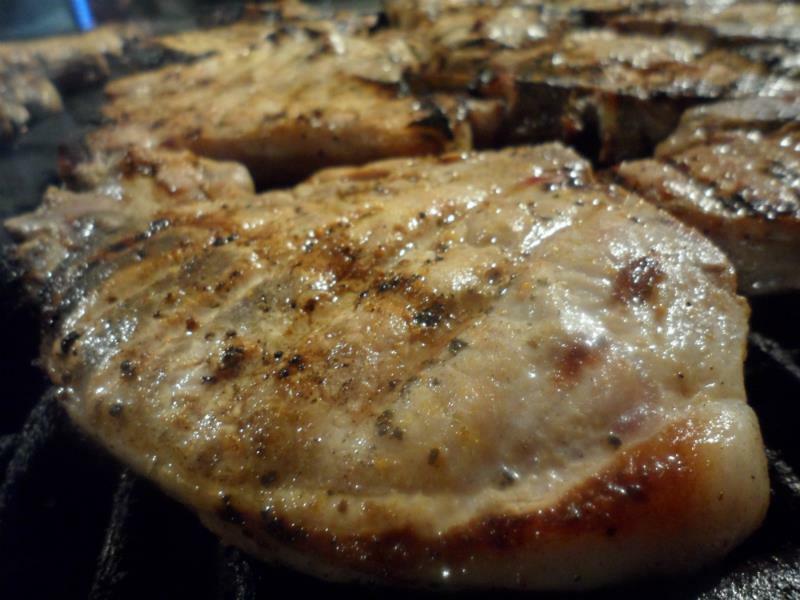 There is nothing quite like watching these huge porkchops cook. 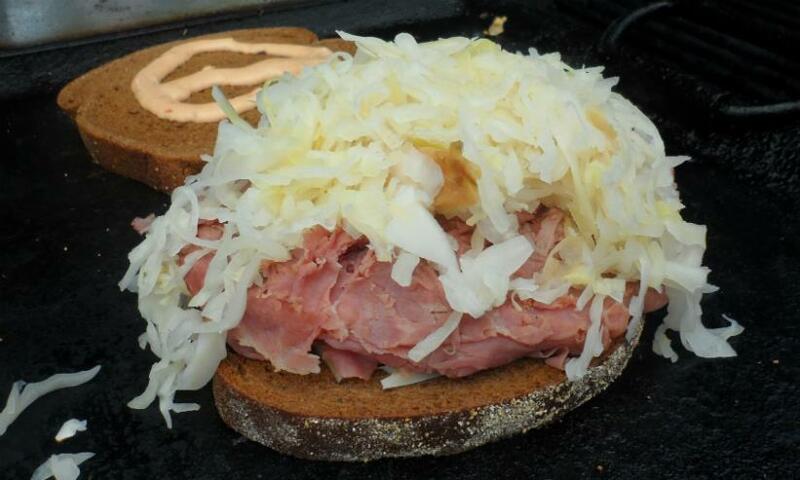 Served as a sandwich or by themselves, this is your chance to get a big slab of meat for yourself. Dab it with some of the Blackjack BBQ sauce and it’s time to go to town. 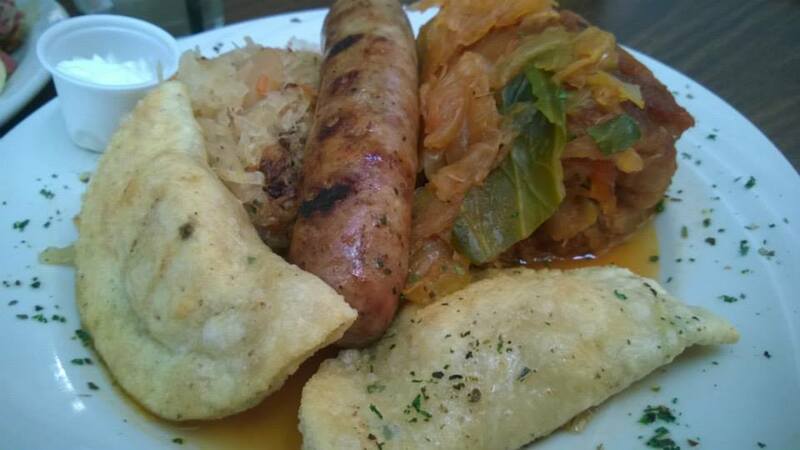 Honorable Mention: The Cabbage Rolls and Saeurkraut Balls are also Food Adventure favorites. There you have it! 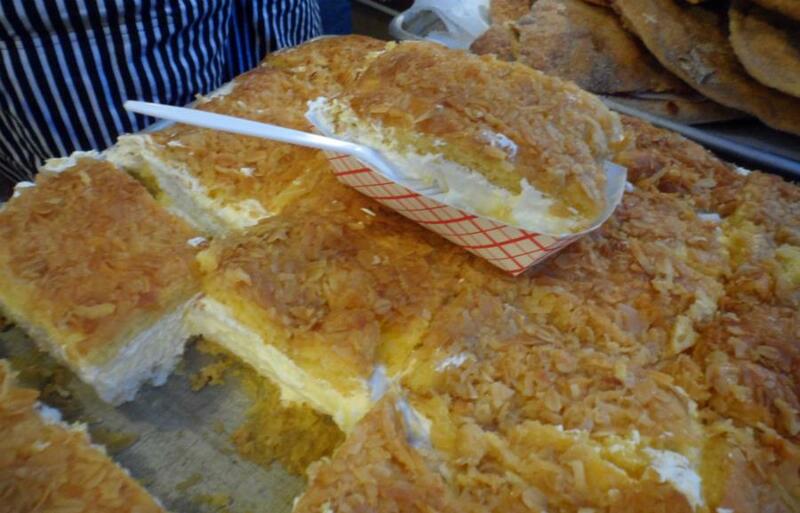 Our lists of the 15 Oktoberfest foods that need to meet your mouth this weekend. Did we miss any? What are your favorites that we should have mentioned? Please comment! 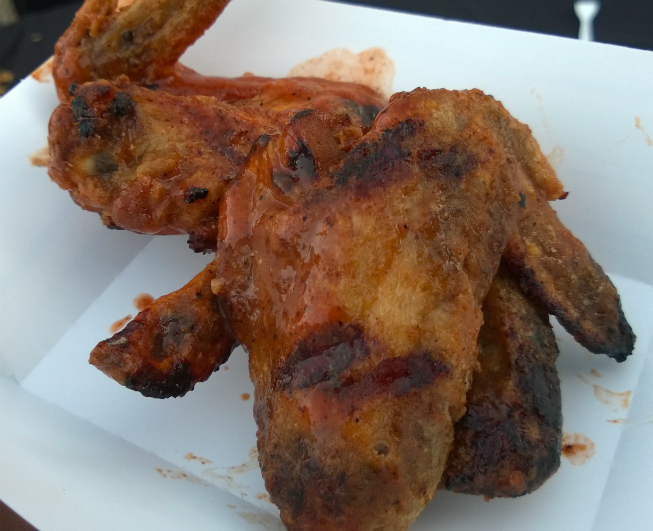 Also, browse our photo gallery below for killer pictures of the MUST EATS ! As for beer choices, you are on your own, we are having a food baby and can’t be bothered. 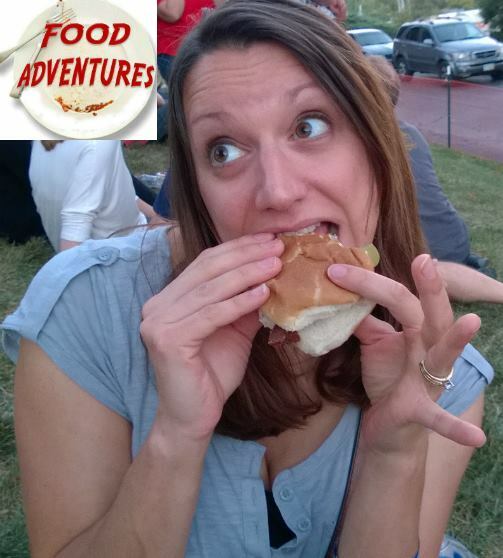 But if you want more foodie news, from the Miami Valley’s Food Adventures blog, then “like us on Facebook HERE. 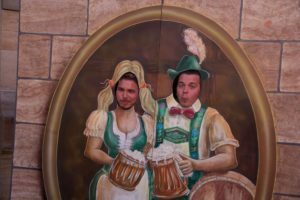 Who Doesn’t Love Oktoberfest ? 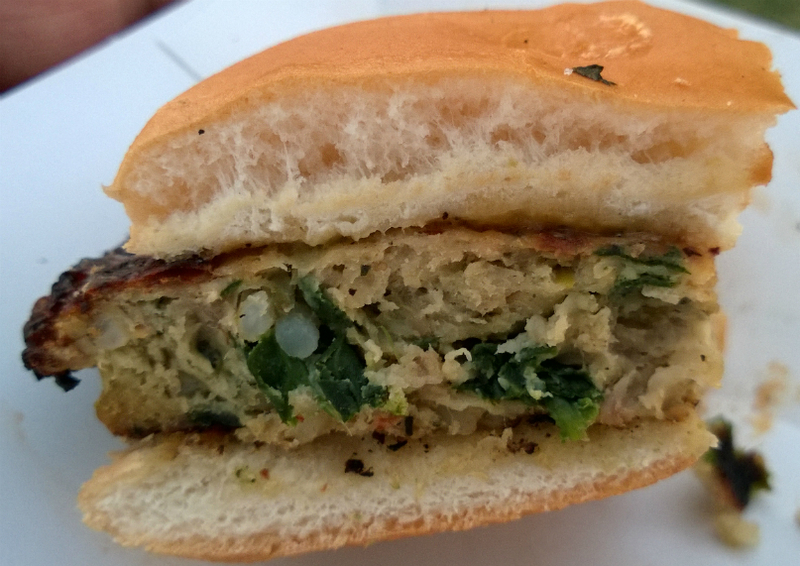 Brixx’s Superfood Burger – delicious ! Hello Hamburger Wagon Burger ! HAMBOOOGA ! According to Big Ragu …. 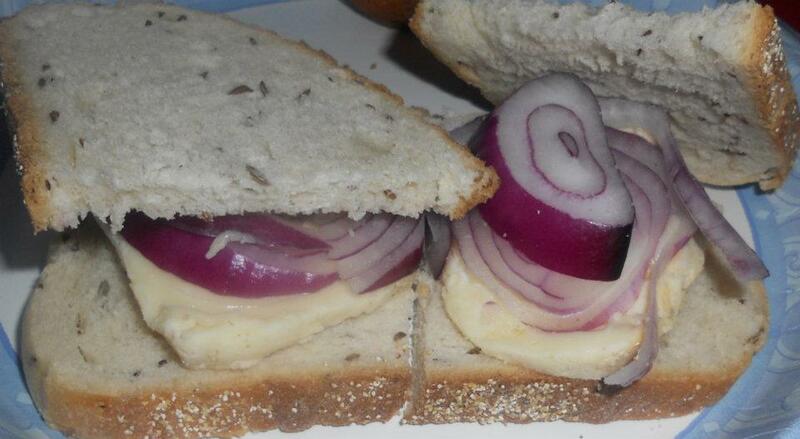 Don’t eat the Limburger Cheese Sandwich at any cost ! The Chicken on a Stick OMG that glaze ! 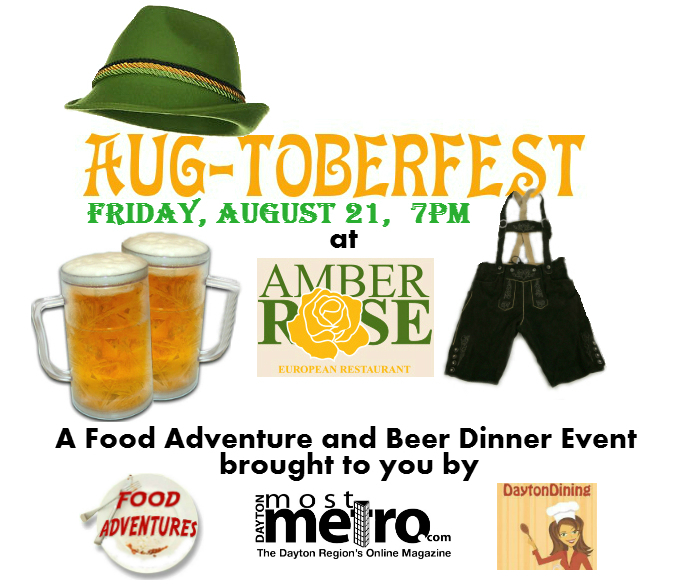 The premier beer dinner event in August, is the new AUG-TOBERFEST, a Food Adventure being held at THE AMBER ROSE RESTAURANT on Friday August 21st at 7pm. There is limited seating for this beer swilling and fork flinging good time. 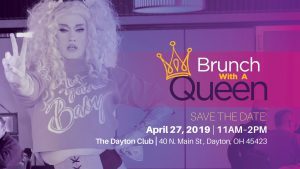 Amber Rose is again partnering with the Food Adventures Crew and Dayton Most Metro for this one night only bash that promises prizes, giveaways, and more. 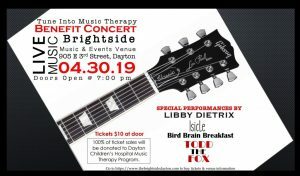 Tickets are only available online through DaytonMostMetro .com. Tickets are $30 each and that includes the tip! Tickets are Pre-Sale Only and may be purchased by clicking HERE! 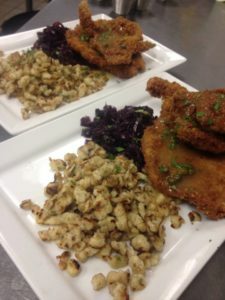 Celebrate early with this sneak peek at fall called AUG-TOBERFEST, a celebration of great food and Oktoberfest beer, held in the upstairs, private banquet room of Amber Rose Restaurant. 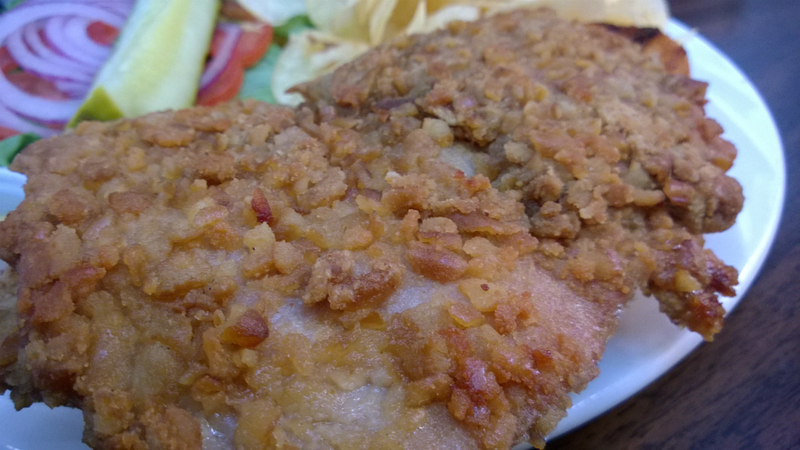 Hunter Schnitzel will be served at Aug-toberfest ! 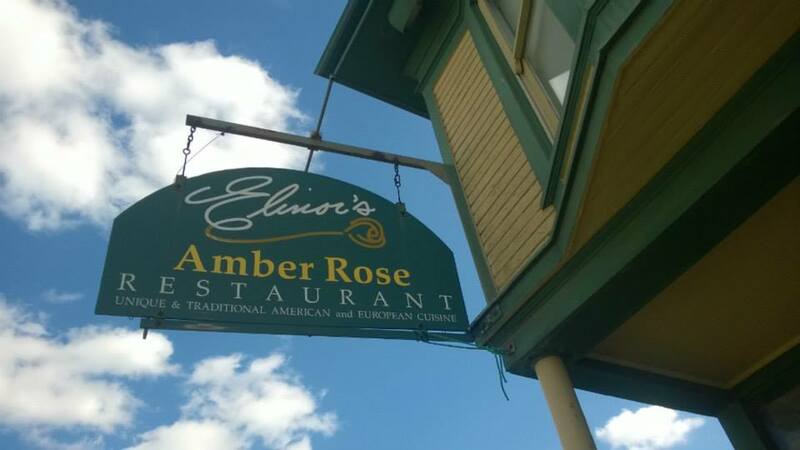 Amber Rose promises a huge 4 Course Meal at Aug-toberfest ! AFTER DINNER SPECIAL TAPPING: There will be a special after party keg tapping of yet another German beer. This beer to be named later will have special draft prices as the party continues downstairs at the bar! 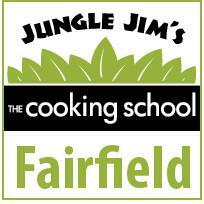 Hungry Jax, The Big Ragu and Chef House hope to see you at this Food Adventure. 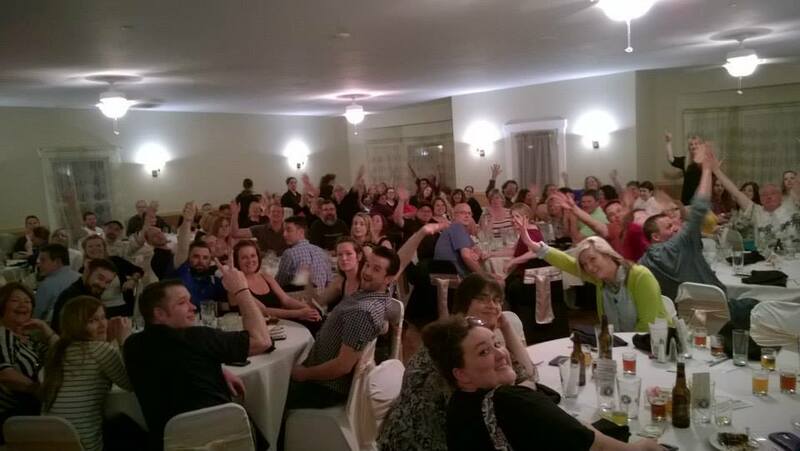 We look forward to lifting a mug with foodies and cheering Aug-toberfest. 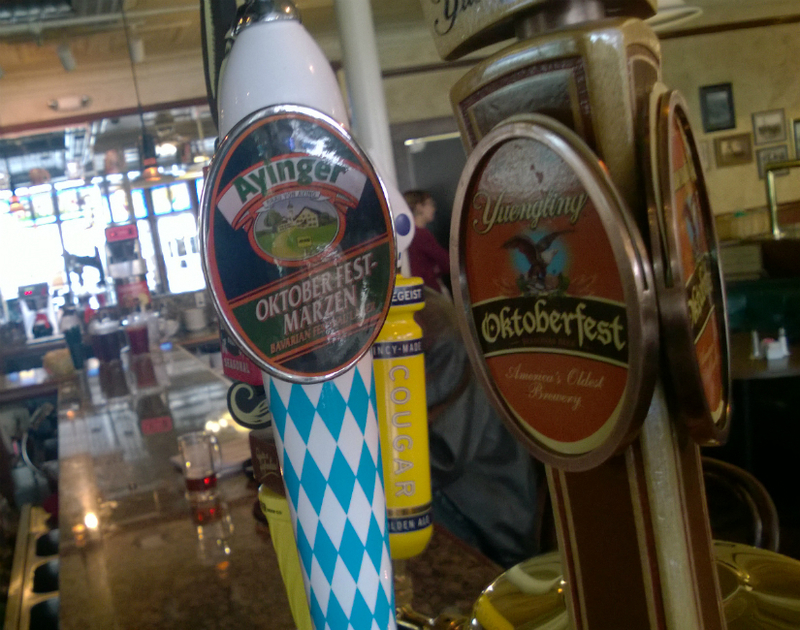 Ayinger Oktoberfest and an after party keg tapping ! 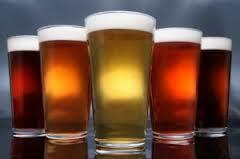 After Dinner there will be Drink Specials on a mystery keg tapping ! 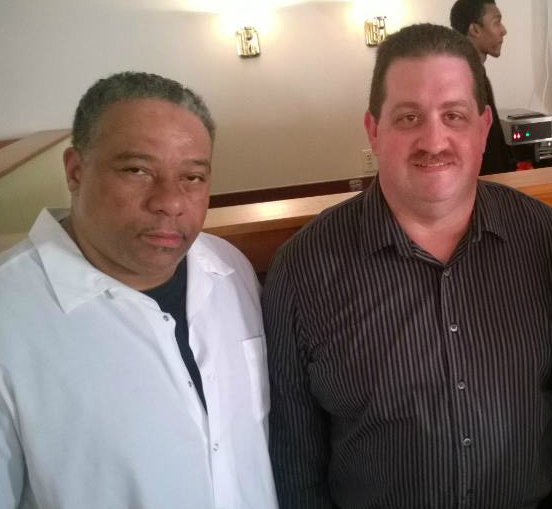 Chef TJ and Restaurant Owner Joe Castellano deliver with a fantastic menu EVERY TIME ! 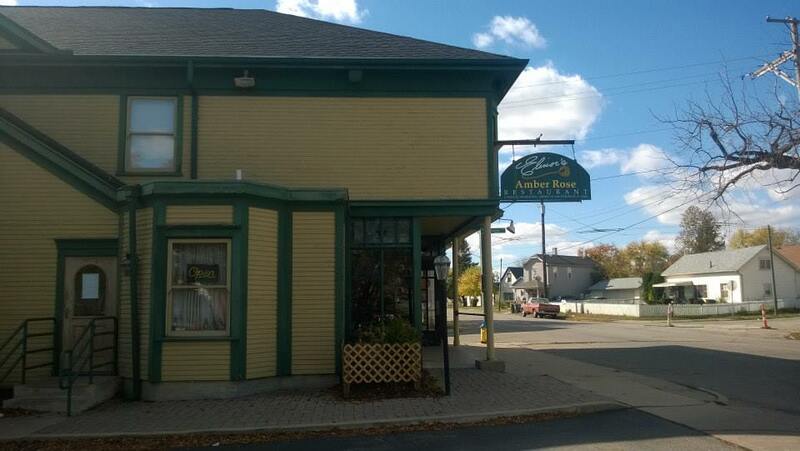 Amber Rose hosts AUG-TOBERFEST !!! 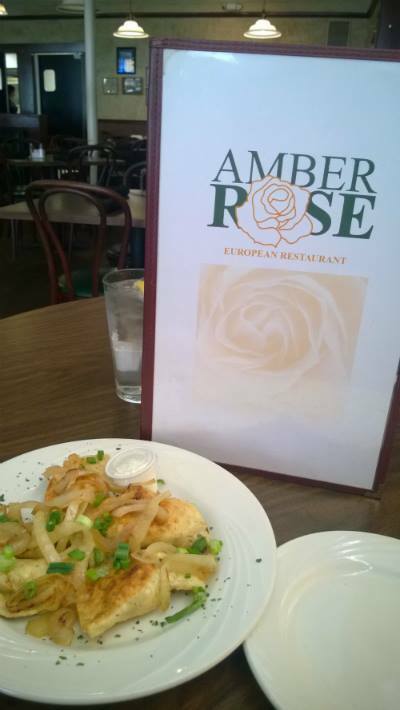 If you have not been to AMBER ROSE, this is your perfect chance to get a great sampling of their food. Our friends at Cavalier Distributing supply some of the most delicious craft beer around town. You may have seen them at the monthly beer tasting at Trolley Stop, where they are often helping pour beer and kindly sharing their knowledge about ales, porters, stouts and the newest trends in craft brewing. So when they shared with us that they will have their very cool draft truck in the new beer garden at DAI’s Oktoberfest, Friday, Sept. 25th – Sunday, Spet. 27th, we got very excited! Cavalier is even making it possible for a couple of our readers to attend the Friday night preview party. Check our Most Metro Facebook page for a chance to share your way to a pair of tickets for the VIP preview. Stone Go To IPA– an abundance of lupulin-borne bitterness into a “session” IPA delivering all the fruity, piney character of a much bigger IPA. Jackie O’s Mystic Mama- Columbus and Warrior hops lend an assertive bitterness. Amarillo, Simcoe, and Centennial hops give this beer tons of great flavors of grapefruit, tangerines, and pine needles. Wyders Reposado – Pear cider infused with smooth subtle oak laden tequila notes. Refreshing pear cider crafted with some inspiration from south of the border. Fat Head’s Bumbleberry – a light, refreshing ale with a nice blueberry aroma, crackery malt flavors, a hint of sweetness and a refreshing blueberry finish. Madtree Pyschopathy -subtle malt backbone combats the bitterness and intensity of floral, grassy and citrus hop flavors. 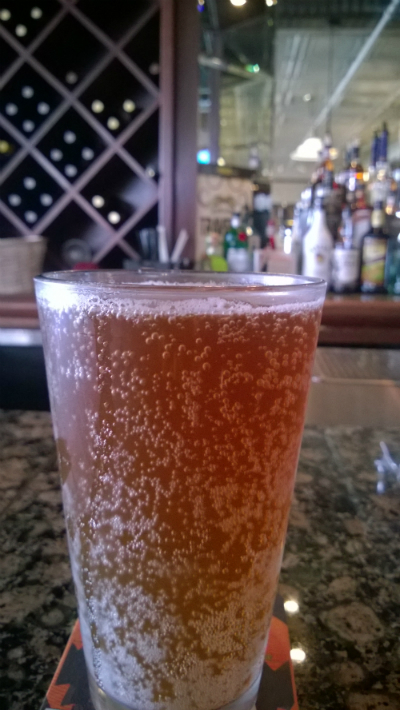 Madtree PumpCAN – Really nice big pumpkin aroma, nice and hearty, with a balanced amount of spice. Spice does not overwhelm the pumpkin, it’s still allowed to shine here. Schofferhoffer Grapefruit – unique combination of sparkling smooth Schofferhofer Hefeweizen with grapefruit flavoring. A refreshing well-rounded taste with tangy character and hints of sweetness. Weihenstephan Original – yellow bright lager, a flavorful beer with a mild hoppy note and a pleasant fresh spicy taste. Kentucky Bourbon Barrel Ale – a unique sipping beer with the distinctive nose of a well-crafted bourbon. Aged for at least 6 weeks in freshly decanted bourbon barrels from some of Kentucky’s finest distilleries. Breckenridge Vanilla Porter – An ale that has all the chocolate and roasted nut flavor of a classic Porter, with an enigmatic surprise thrown in for good measure, real vanilla bean. I’ll be hoisting a mug of brew at Oktoberfest and hope to see you there. Prost!